Don't miss these top saree looks of B-town celebs. Bollywood actresses never fail to give style goals to their fans. 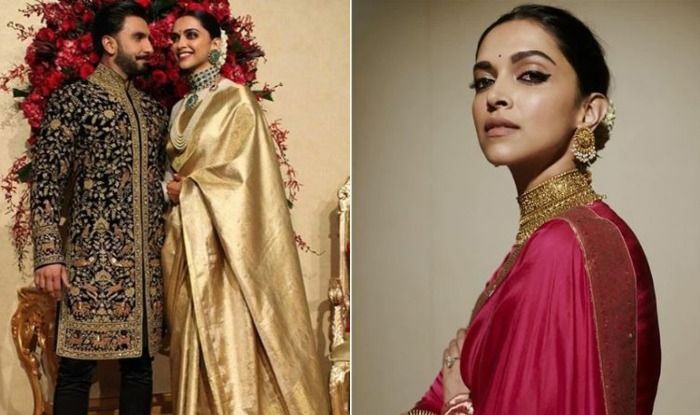 2018 can be called as the year of weddings and we got to see the leading ladies in the Indian avatars. It goes without saying that nothing can beat the elegance of a saree. It is something that can never go out of fashion. Deepika Padukone, Priyanka Chopra, Kangana Ranaut, and many other actresses not only flaunted their love for sarees but also gave it personal touch leaving fashion police impressed. As the year has come to an end, have a look at the gorgeous ladies who rocked the saree look. There is nothing that this lady can’t pull off. Deepika tied the knot with Ranveer Singh in November. She wore a beautiful golden saree gifted by her mother and was styled by Sabyasachi. She tied her hair into a neat bun and wore a heavy necklace and earrings with it. Recently, she wore a pink saree by Raw Mango at Kapil Sharma’s reception and looked gorgeous as ever. Our own desi girl and her swag made Nick Jonas go week in the knees. After taking wedding vows with the American singer in Jodhpur, Priyanka was spotted in a dark green Sabysachi sheer saree as she left for Mumbai. With the bridal Chooda, sindoor and mangalsutra, she looked like the nayi naveli dulhan. She is often seen flaunting her love for sarees. 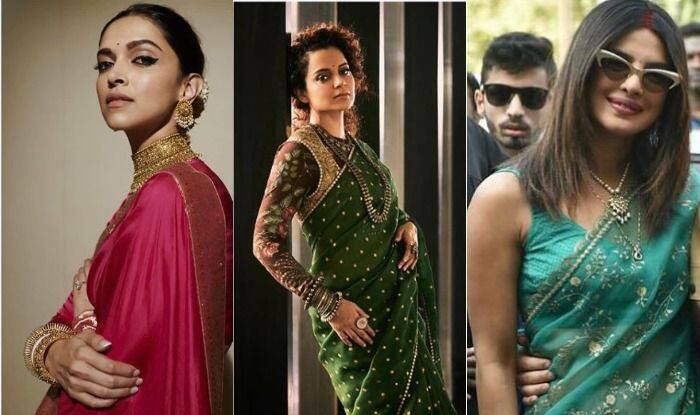 Lately Kangana donned a green saree designed by Sabyasachi Mukherjee and looked no less than a princess. She teamed it up with a full sleeves blouse. The actress completed her look with bangles, necklace and bindi. The actress wore a simple blue saree at an event and looked just like her mother. He kept her hair open and opted for heavy earrings. Her look was simple yet stylish.